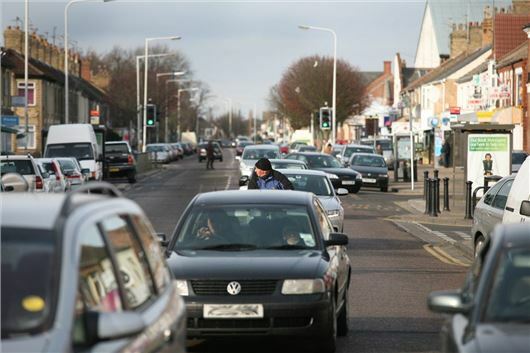 One in three drivers in the UK are now more reliant on their cars than they were 12 months ago. And the spiralling costs and delays of public transport are to blame, according to the RAC. The RAC's annual Report on Motoring - which surveyed around 2000 drivers - had previously shown car dependency to be falling steadily since 2012. However, with the latest figures released today, there has been a jump from 27 per cent in (in 2017) to 33 per cent in 2018 of drivers who simply cannot live without a car. Having a greater need to transport family members (34 per cent) and having a longer commute (32 per cent) were the two main reasons drivers cannot give up their car, while one in four blamed deterioration in public transport for using their vehicle more often. Almost half of those questioned said public transport was simply unreliable, while a further 39 per cent held higher fares at fault. A report from the Campaign for Better Transport found local authority funding in England and Wales for bus services has been cut by 45 per cent over the past eight years, meaning 3347 routes have been reduced or scrapped. It's now thought that the UK’s bus network has shrunk to a level last seen in the 1980s, despite £250 million per year Government funding to support buses and £1 billion for free travel for disabled and older people. Department for Transport figures show the number of local bus passenger journeys in England fell by 70 million year-on-year in 2016/2017. Additionally, rail commuters have recently suffered significant disruption to services in several regions with the Office for Rail and Road this week reporting delays on the rail network are the worst for 12 years. Rail passenger journeys during 2017/18 decreased by 24,000 compared with the previous 12 months, according to Office of Rail and Road. Commuters also face an increase of up to 3.2 per cent in the cost of season tickets from January 2019. "We must make it easier for public transport to be used on the journeys that the majority of people make most often," said RAC chief engineer David Bizley. After the company I work for introduced car-sharing parking bays only, and I spent months car-sharing with inconsiderate people that were never on time, or ever let me know when they weren't actually going into the office on a particular day, I decided to give public transport a go. Not only was it much more expensive than running my car, but with constant strikes and delays / cancellations, it also proved to be almost useless and actually damaging to my career (i.e. constantly being late or not knowing if I'd get home so had to work from home). The carriages stank too, and force people into 'enjoying' other people's annoying / anti-social behaviour. I'll always remember looking at the train websites to check if my train was running on time - then in the 10 minutes it took to get to the station, find out it was actually severely delayed or cancelled! To hear the automated information shout "the next train has been delayed because............" then not give any reason, as if to say "we've been so awful for so long we can get away with anything now and you'll just have to accept it". If the train workers were due to strike two days on a particular week, the Friday of that week couldn't be relied on either due to "driver / staff shortages" - maybe as a result of some strikers making an unofficial long weekend of it. In the end, I had to return to using my car and all the additional expense to get parked near work. Public transport should have been an option, but in reality it wasn't. So all those politicians and other groups vilifying motorists who are just trying to get to work to keep this country's economy going, and all its services paid for, need to sort public transport out and provide a viable option to using a car first. The Government both Local and in Parliament fail to see that the car nowadays IS the main transport facility. Putting in Bus Lanes and constantly advocating trains which like buses never run on time and ultimately cost you more per journey than your car then there is the convenience factor of the car which neither bus nor train can compete with. Yet we still have these backward looking fools in both Public sectors of Government who have over the years failed to invest in our roads where they are now failing all over the country. You name it and no matter how essential it is to community life, local government funding for it is being cut. Same with central government funding, except when it comes to anything connected with diversity/ inclusivity, foreign aid and ridiculous vanity projects such as HS2. Yet instead of remaining static, our local and central taxation bills keep rising, with motorists, faced as they are with irreversible deterioration in the condition of our roads, used as a convenient taxation milk-cow. One of the most likely explanations of this conundrum is that there are simply too many people in these relatively small offshore islands of ours and too great a proportion of them is non-contributory. Until this is addressed, the cutbacks will continue and services will deteriorate further.